Outlook’s new feature allows you to hold onto deleted emails longer than ever. By setting a later purge date, you can hold onto important communications without cluttering your email folders. 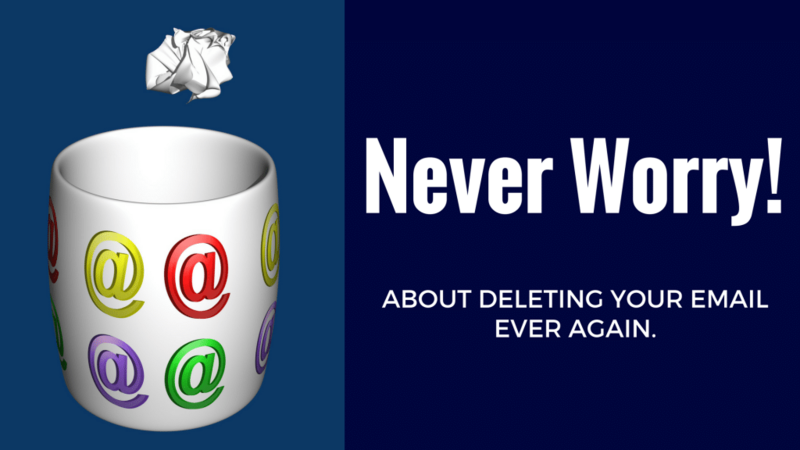 Most people have likely suffered the heartache of deleting an important email. You search and search again through your inbox and the communication is nowhere to be found. Although some providers archive emails automatically instead of deleting them forever, the emails are eventually purged from the server. With Outlook’s new feature you can hold onto emails longer and not worry about those emails disappearing for good a short month later. For each opened email, you have to make a clutch decision: archive or delete the communication? In some cases, like if you receive any spam, deleting the offending email is a no brainer. However, emails from contacts are often different. For instance, if a colleague sends a link to a website you need, you may decide to delete the email after finding the URL. However, a couple months down the road you may wish to bring up the email. If the email has yet to be purged, this saves you the headache of having to get in touch with your coworker to ask for him or her to resend the information. Another case for not prematurely deleting emails is to retrieve contact information. If you accidentally delete an email without copying contact details, you may have a hard time tracking down the sender to get back in touch. In most cases, deleted Outlook emails are automatically set to purge from the system after 30 days. For onsite Outlook inboxes run on an Exchange server, an administrator is responsible for setting the length of time for emails to stay in the Deleted folder. This timeframe is managed through the system’s Messaging Records Management feature. The default setting is for emails older than 30 days to get moved to a recoverable subfolder. The subfolder holds onto the emails for 15 days before completely removing them from the system. Onsite Exchange users were able to change this default setting in the past, but Office 365 administrators were stuck with losing emails permanently after 30 days. Luckily, the retention policy is now changed for Office 365 and administrators have the option for allowing the purge to take place a maximum of 24,855 days in the future. The date used by the system is the timestamp of the email or the last time the message was edited. Don’t worry about any of these settings getting rid of your archived items. Once you save an email to a particular folder, the email can only be manually deleted from the server. Keep in mind there is a setting to delete expired items in Outlook within your Office settings. For instance, emails in your inbox have a default aging period of six months while outbox emails age after three months. If you don’t have any system recovery options in place, prematurely purging Outlook emails can be disastrous. Make adjustments to your purge settings to have a holding place for emails you’re unsure if you should permanently delete or not.